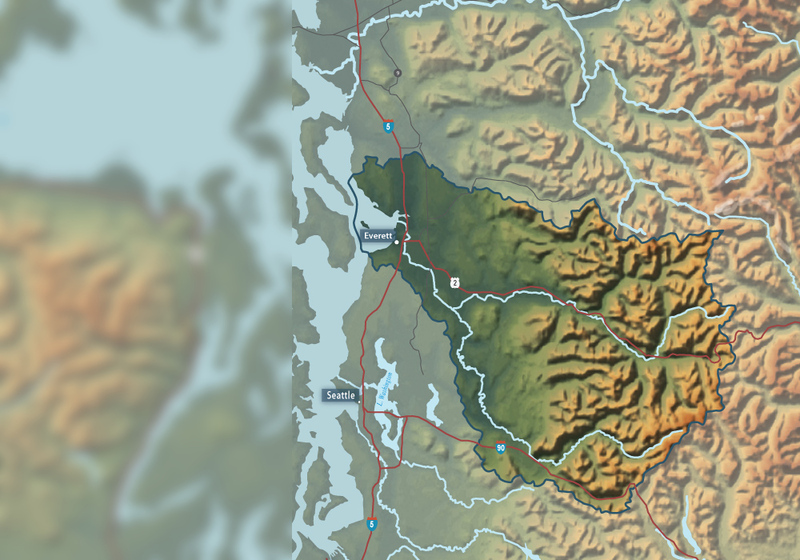 The Snohomish River watershed drains 1,856 square miles of the western Cascades and is the second largest river basin surrounding Puget Sound. 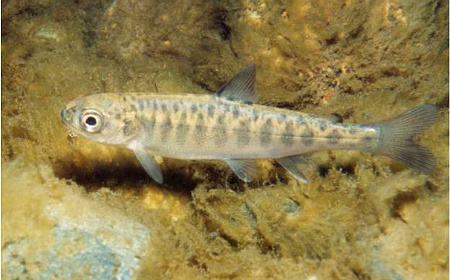 The watershed's three major rivers, the Skykomish, the Snoqualmie, and the Snohomish, support the largest number of coho spawners in Puget Sound, two populations of Chinook Salmon and significant numbers of chum, pink salmon, steelhead and bull trout. 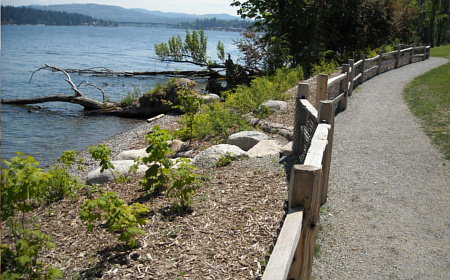 The Basin is close to Seattle and Everett, and yet still retains small-town charm. 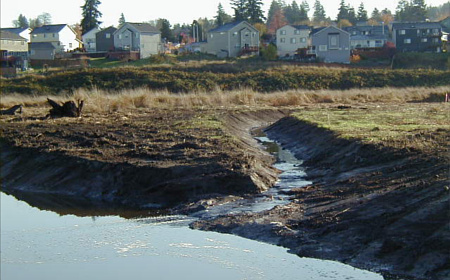 To learn more about salmon recovery in the Snohomish Basin please visit our website: Snohomish Basin Salmon Recovery or the Snohomish River Basin Habitat Work Schedule. 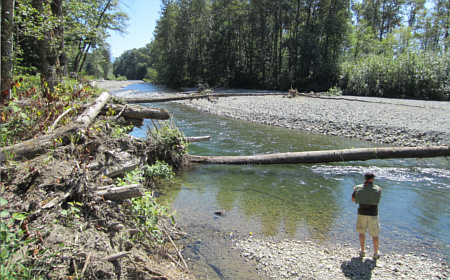 The Tolt River is the largest salmon-bearing tributary to the Snoqualmie River and a key part of the Snohomish Basin with nearly 20% of the Snoqualmie Watershed's threatened Chinook salmon returning to spawn each year. 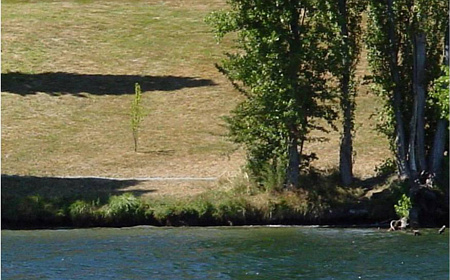 This once forested free roaming river was constrained over time by levees built in the 1940's. 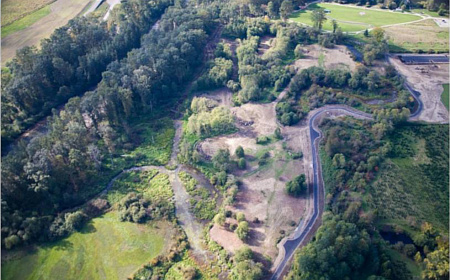 This project restored natural channel formation and the river's connection to the nearly 50 acres of the floodplain important to salmon. Construction began in 2008 and was completed in 2009. 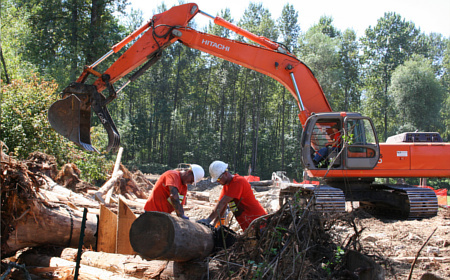 Heavy machines helped to make large log structures and a new levee and trail system. Now after construction the river is moving through its newly connected flooplain and providing important habitat for rearing and spawning salmon. 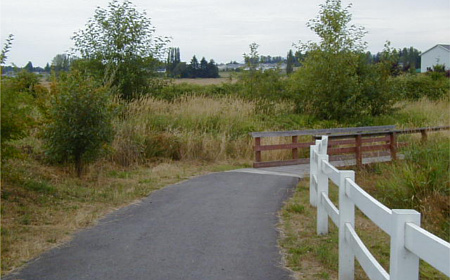 There were many features to help you enjoy this site, including interpretive signs, a trail along the levee, a picnic area and more. Come out to visit and learn more about the watershed! 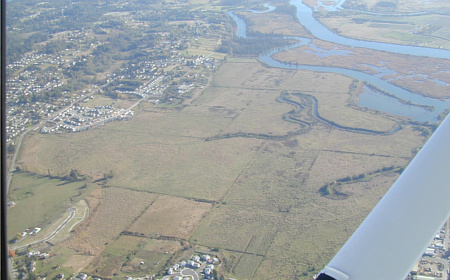 Qwuloolt Estuary, meaning 'marsh' in the Lushootseed language of the Tulalip people, lies in the Snohomish River floodplain 3 miles upstream from its outlet to Puget Sound. 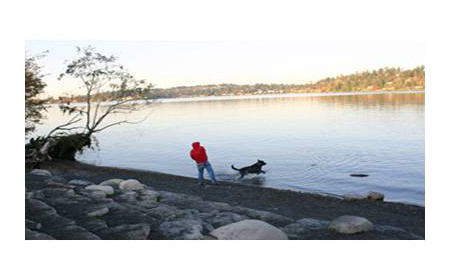 Ancestors of the Tulalip Tribes lived in the estuary. The estuary acts as a refuge, a wildlife sanctuary, and natural buffer that is valued for its beauty and protective functions. 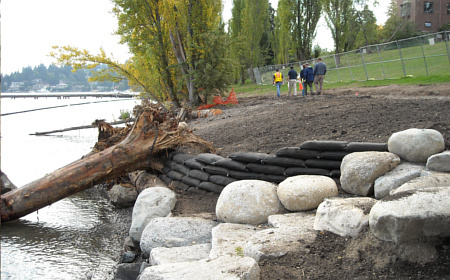 The project restores 400 acres of prime habitat for birds and salmon species. 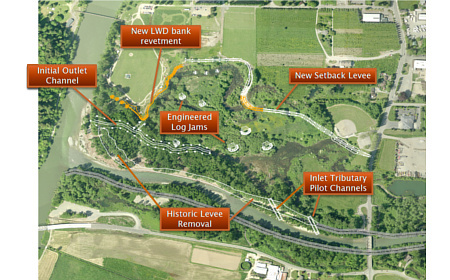 The Qwuloolt project restores streams which run through the site, creates habitat with native plants, and builds a new levee. Many partners including tribal, local, county, state, and federal agencies made this project possible. 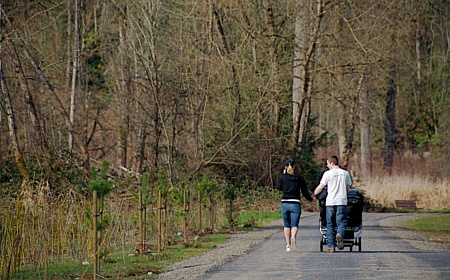 In 2007, one mile of stream channel in lower Allen and Jones Creeks was restored to its historic location. 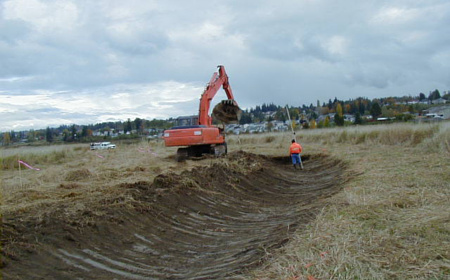 This involved excavating 5,000ft of new channel and filling in the old channels to ensure that the creeks functioned properly. 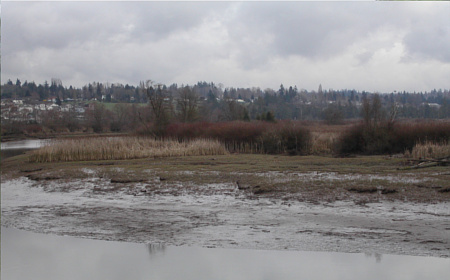 We're going to see some amazing changes at this site as we remove the outer dikes in 2013 and allow the waters to reclaim this section of the estuary. Come visit the site and track the changes yourself. For the address of and directions to this project, click the red icon on the Google Map above.